On the 3rd of June 2016, millions of fans around the world mourned the passing of the boxing icon Muhammad Ali. 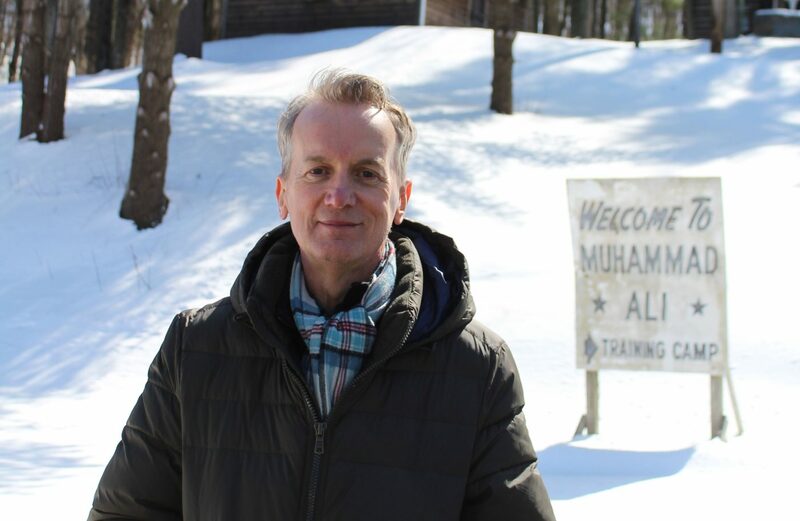 In a touching, insightful and celebratory one-off authored documentary special, Frank Skinner, one of Britain’s best-loved comedians, explores the incredible life of his hero, the world’s greatest boxing champion. To discover more about his idol, Frank travels around the UK and US, visiting key locations and people in Ali’s life. Frank meets Ali’s wife Khalilah and his old sparring partner and friend Larry Holmes, as well as some of the lesser-known people in Ali’s life, like Paddy Monaghan, the bareknuckle boxer from an Oxfordshire council estate who became one of Ali’s dearest friends. This documentary special is more than a profile piece on the greatest sporting hero of the twentieth century, it’s also a very personal journey filled with Frank’s own expertise and insight.